Jarrow Formulas MK-7 is made via fermentation by Bacillus subtilis subsp. natto. 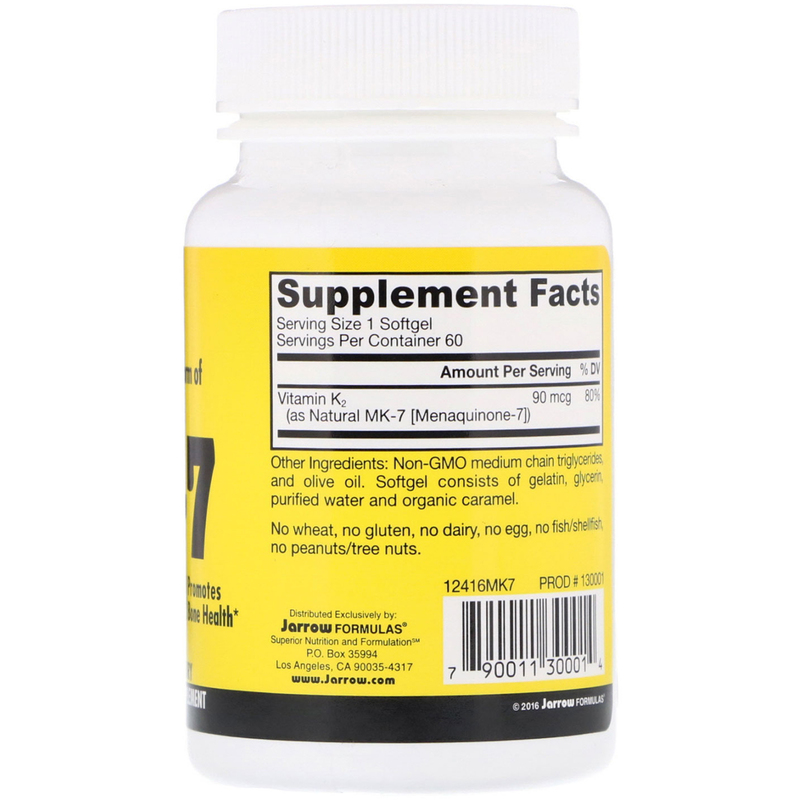 MK-7 (menaquinone-7) is the bioactive form of vitamin K2, traditionally found naturally occurring in Natto. 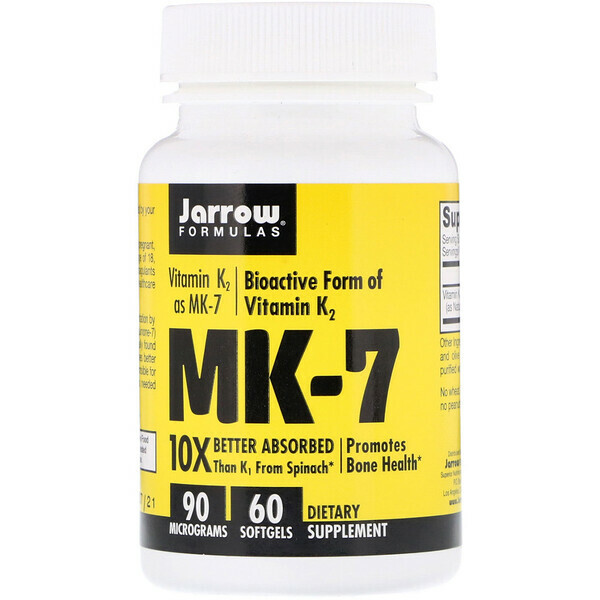 MK-7 is ten times better absorbed than K1, from spinach and is responsible for the carboxylation of specific bone proteins needed for building bones. Non-GMO medium chain triglycerides and olive oil. Softgel consists of gelatin, glycerin, purified water and organic caramel.